Enjoy the top 1 famous quotes, sayings and quotations by Richard Robinson. 3. There is much misery in the world. A god who was all-powerful but left much misery in the world would not be all-benevolent. An all-benevolent god in a world containing much misery would not be an all-powerful god. A world containing a god who was both all-powerful and all-benevolent would contain no misery. Want to see more pictures of Richard Robinson quotes? 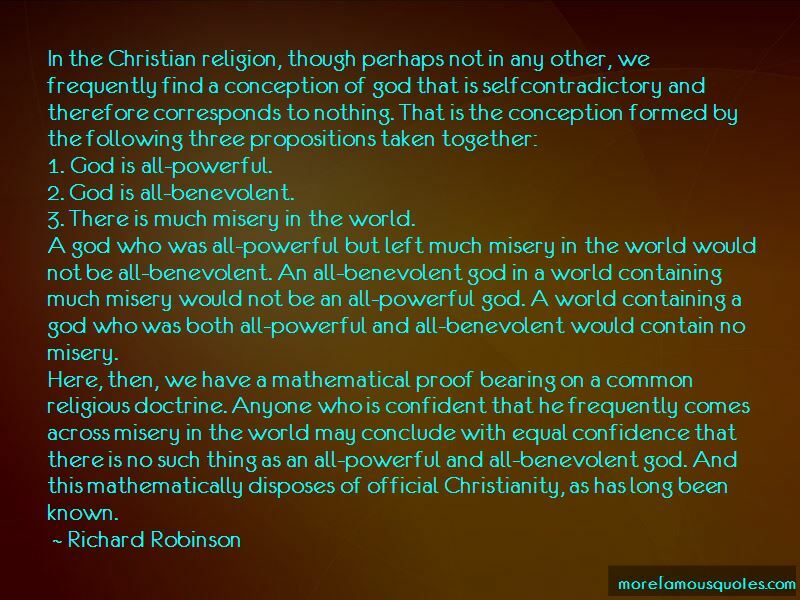 Click on image of Richard Robinson quotes to view full size. “It ensures that you do not let something that is of real significance go by simply because it didnt catch your attention enough” — Anonymous.